Services with this company begin with a needs assessment and initial consultation for our partners and clients. This assessment allows precise determination of services and establishes partnership expectations. Next, in line with the company’s ingenuity, the CEO brings her education and training to the process, while considering and selecting affiliate responsibility. Finally, the production of requested services take shape, which confirms L & A Professional Services, LLC as having had the opportunity to fulfill the requests provided by our partners and clients. We apply the expertise of all affiliates, and maintain the company’s foundational principles (ingenuity). 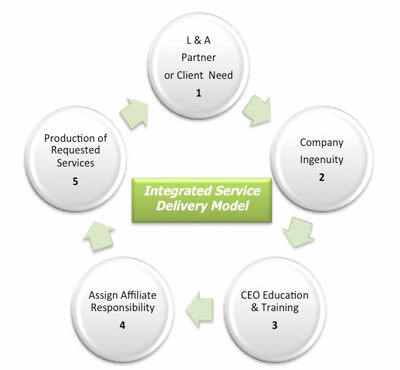 Only through this Integrated Service Delivery Model, does all our management consulting, capacity building, and research development ensure Accurate, Beneficial, and Comprehensive services. Services are precise and detail oriented. Services allow cultivation of change to occur! Services are reflective of needs assessment, free consultation, agreement, and understanding!